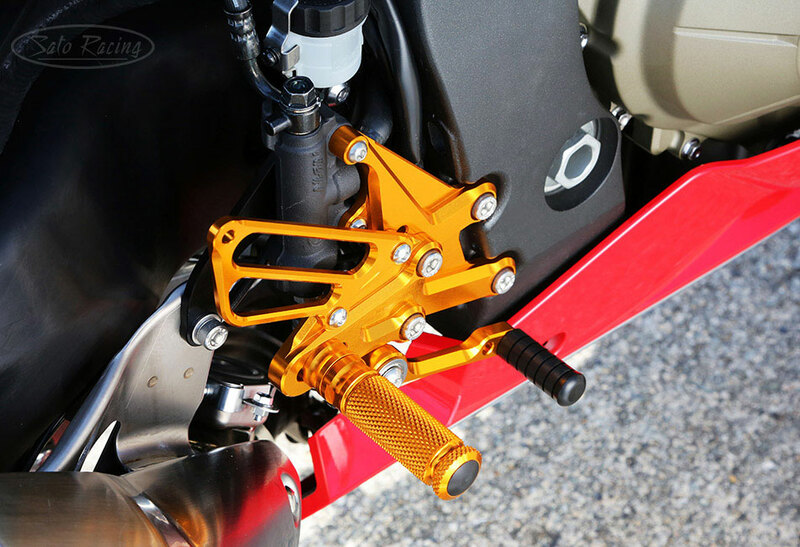 SATO RACING Rear Sets for 2017-18 CBR1000RR are precision CNC-machined from billet aluminum and anodized in your choice of deep Black or vivid Gold. 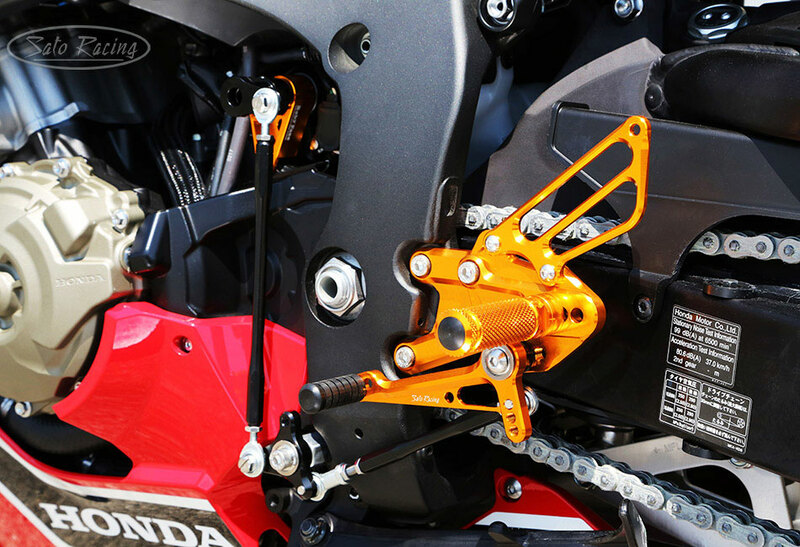 Modular design lets you select from multiple adjustable foot peg positions in a range that brings your feet progressively higher up and further back compared to stock. Easily switch to GP-style reverse shift pattern too. Compatible with standard brakes and with ABS. 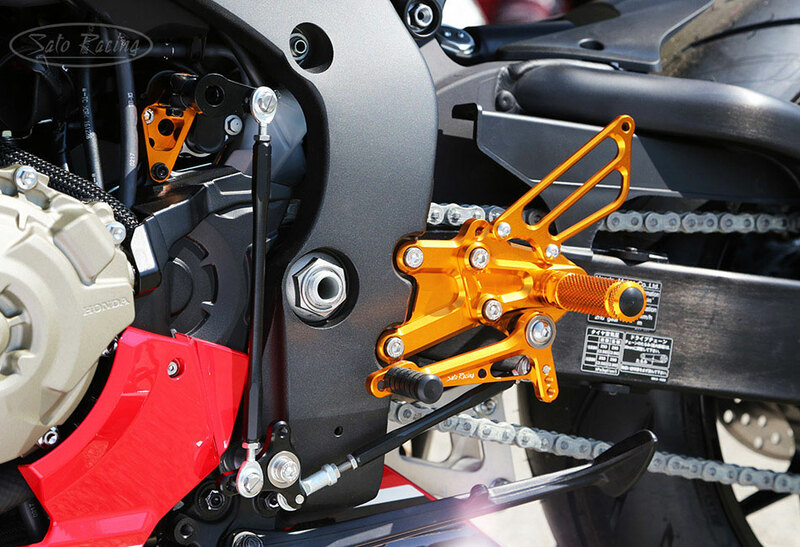 These Rear Sets are available in 2 versions: for the standard CBR1000RR, and for the quickshifter-equipped CBR1000RR SP. 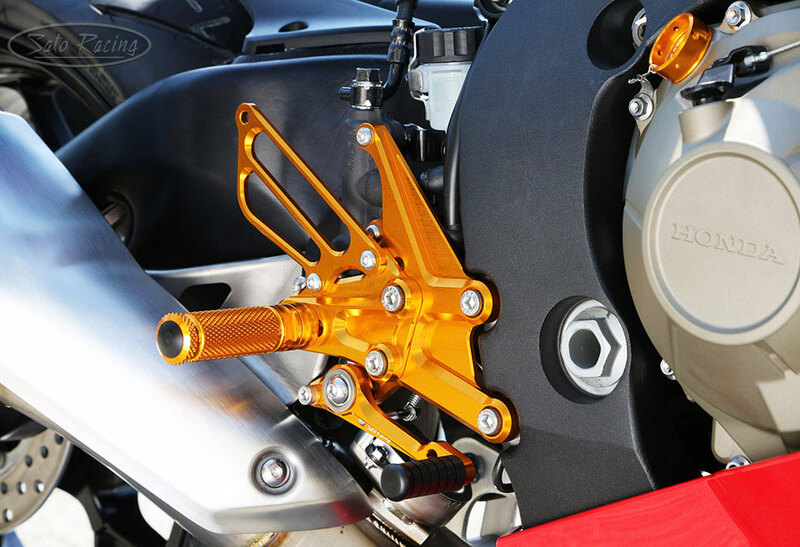 A Shift Spindle Holder is an available option for our CBR1000RR Rear Sets, helping reduce play in the shift spindle for smoother, more consistent shift action in heavy duty use. 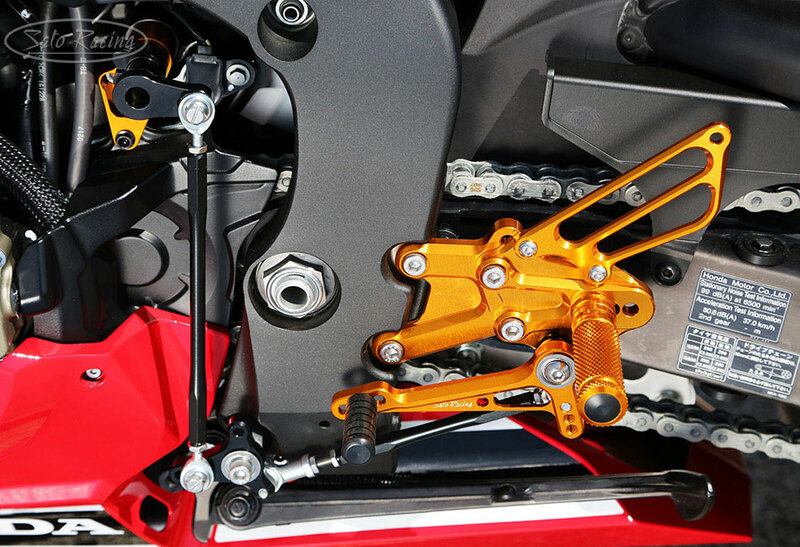 The positions of the step plates, footpegs and pedal tips can be adjusted to your preference. The Foot Pegs have a finely knurled pattern for a comfortable, intuitive feel and good grip. 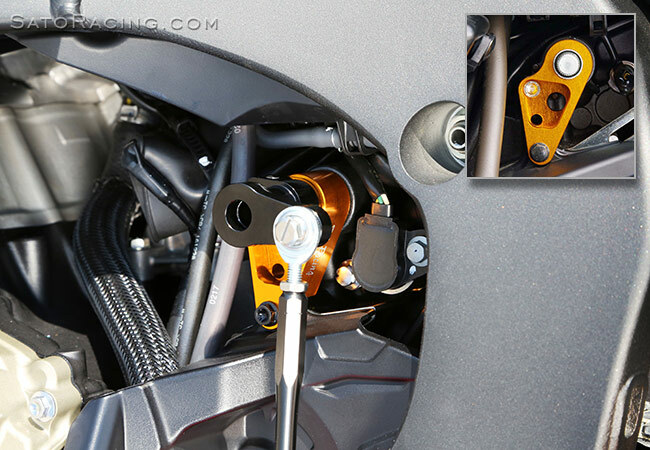 The Silver and Gold Rear Sets come with a Black shift linkage. 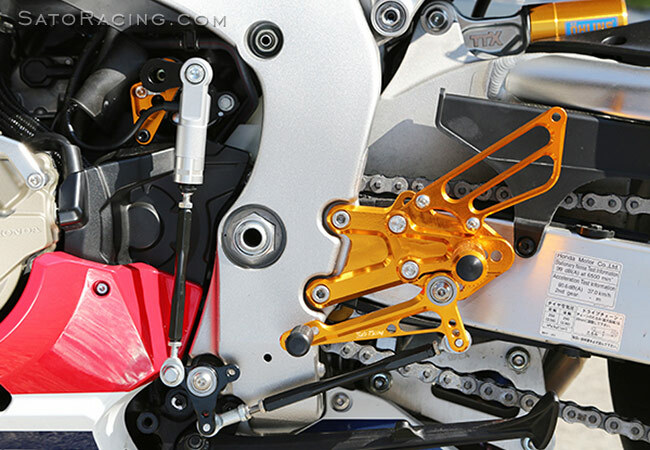 CBR1000RR SP Rear Sets are optimized for use with the quickshifter on the SP. 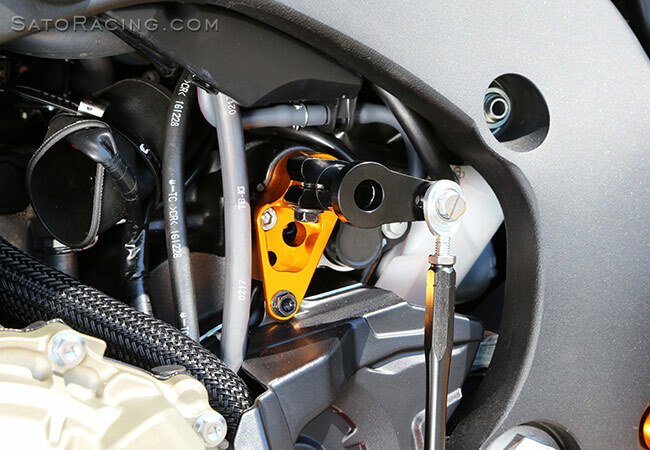 Our Shift Spindle Holder for 2008-17 CBR1000RR adds strength and rigidity to the shift rod linkage for smoother operation and extra durability in heavy duty use. Gold anodized billet aluminum with a Teflon inner bushing.